In 2013 the Scottish Government’s Independence White Paper assumed an independent Scotland would be able to retain Sterling as part of a formal currency union and could rely on future oil revenues to deliver fiscal sustainability. During the 2014 referendum the UK government rejected the idea of a currency union and we now know that in 2016-17, when the White Paper forecast oil revenues of £6.8bn – £7.9bn, the actual figure was just £0.2bn. Faced with understandable accusations that their previous economic case for independence was a ‘false prospectus’, in 2016 the SNP established a Growth Commission. Their objective: to create a credible economic case for independence by showing how faster growth of Scotland’s onshore economy could fill the income gap left by declining offshore revenues. 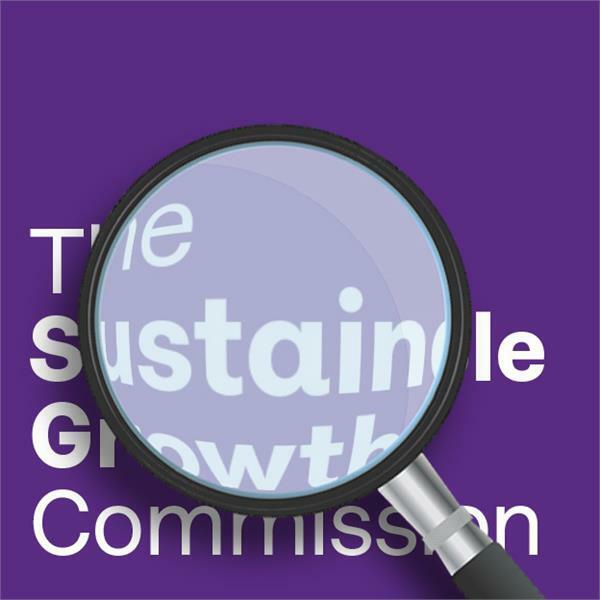 This paper is an initial response to the Growth Commission’s report. The Growth Commission have succeeded in taking forward the debate about how Scotland’s onshore economy could be improved. They make well-argued cases for the economic value of greater immigration, the potential for stronger export growth, the importance of improving productivity, the need for infrastructure investment and the opportunities that should arise from developing digital and technological skills, creating a more entrepreneurial culture and driving innovation. There are many ideas in the report that can be adopted without any need for Scotland to become independent and we believe these should be the subject of ongoing, constructive and non-partisan debate. In contrast to their positive suggestions for growth, when we study the report’s quantitative claims we find ourselves questioning whether the authors’ desire to make a case for independence has compromised the quality of their analysis. The Commission has singularly failed to make a coherent economic case for independence; in fact their work helps highlight the economic benefits of Scotland remaining part of the UK. To justify ambitious growth targets, the Commission cherry-picks a set of better performing small advanced economies (SAEs). By the simple expedient of excluding SAEs with materially lower GDP/capita than Scotland, they are then able to make the unsurprising observation that Scotland’s GDP/capita is lower than the median. Faster growing SAEs who rely on low-tax, high income-inequality models (which the Commission explicitly rejects) are included in the calculation used to justify the growth rate target they suggest Scotland should, after 10 years, aspire to match. The Commission then simply asserts that an independent Scotland should aim to outperform this growth rate by a further 1% pa for fully 15 years. There is nothing wrong with ambition, but these growth aspirations are beyond anything that the empirical data can support. In fact, the specific countries the Commission suggests Scotland should most seek to emulate (Denmark, Finland and New Zealand) do not demonstrate materially faster growth than the UK at all. To calculate an economic starting position, the Commission accepts the base level of spending in Scotland projected for 2021/22. By not proposing to reverse any spending cuts, they tacitly accept that the current austerity policies they claim to reject are in fact necessary (but not sufficient) to put Scotland on a path to a fiscally sustainable position. Assumptions are made about debt allocation and savings from shared UK costs that are objectively more optimistic than those made in the 2013 White Paper. Net savings assumed then were £0.6bn pa; the Commission now assumes ‘day one’ savings of £2.6bn. This figure is arrived at by a combination of sweeping assertion, ‘rounding-up’, double-counting and – most worryingly of all – an obvious error in the way the underlying GERS data is interpreted. The Commission discusses at length the likely negative economic consequences of Brexit, but simply ignores the equivalent economic damage that would be caused by Scotland leaving its far deeper and more significant union: the United Kingdom. Given that Scotland trades 3.6x more with the rest of the UK than with the EU – and the implications of this for Scottish jobs and economic performance – the Commission’s failure to consider the potential impact of trade-friction with the rest of the UK, or broader economic shocks caused by separation, is an extraordinary and indefensible oversight. Add to all of the above its assumption that the transition costs for creating an independent nation would be less than the latest estimate for the costs of taking on a handful of welfare powers devolved from Westminster, and it’s clear that the economic starting point used by the Growth Commission is most definitely not based on “very conservative assumptions” as they claim. The report states its aspiration as being to paint a picture of hope that is “grounded in a clear-sighted reality and a rigorous plan”. A plan that makes transparently optimistic assumptions and simply ignores the downsides of its proposals cannot be considered to be either clear-sighted or rigorous. The Commission also fails to consider which of its recommendations for growth could be pursued without the need for the trauma of separation from the UK. Failure to consider and seek to learn from alternative economic models that do not presuppose independence is a major shortcoming of the report. An economic case for independence that ignores the fact that many of the benefits it includes do not require independence is no economic case at all. Recognising the need to demonstrate fiscal credibility, the Commission goes on to recommend that an independent Scotland’s first Fiscal Rule should be to deliver a deficit of less than 3% of GDP within 10 years, and that this should be achieved through spending restraint. Based on the comparisons the Commission makes with other SAEs, this fiscal rule is not sufficiently aggressive. Certainly if Scotland were to meet the Commission’s aspirations to launch its own independent currency, reaching a fiscal surplus would be a more credible aim. Despite making unrealistic starting assumptions, ignoring any of the downsides of separation from the UK and suggesting a relatively modest first Fiscal Rule, the Commission is unable to avoid concluding that an independent Scotland would require at least a decade of spending restraint. Based on realistic growth assumptions, this would translate into even greater austerity than Scotland has seen in recent years. If the Commission’s model for deficit reduction had been applied over the last decade, Scotland would have spent about £60 billion less and in 2016-17 public spending would have been £8bn (12%) lower. The Growth Commission itself illustrates that Scotland outside the UK would face a decade of further spending restraint just to (hopefully) get the deficit down to 2.6% – a figure still worse than the UK’s deficit which Scotland shares today. The Commission doesn’t attempt to model the economic impact of its laundry-list of tentative recommendations. It recommends GDP growth be stimulated by migration driven increases in population, but by not putting any figure on the population growth expected it leaves us unable to form any view on the implications for GDP per Capita growth (a measure the Commission rightly highlights as being more important to citizens of a country than total GDP growth alone). The longer term growth targets the Commission proposes appear to be what would be required over a 25-year time frame for GDP growth alone to replace the fiscal transfer Scotland currently receives from the rest of the UK. The deficit gap that today is met by the Barnett Formula and that the 2013 White Paper assumed would be filled with North Sea revenues, the Growth Commission now assumes will be filled with revenue resulting from highly speculative and frankly unjustifiable GDP growth rate assumptions. The Commission accepts that their currency proposal of sterlingisation “for a possibly extended transition period” would be damaging to Scotland’s financial services sector and avoids discussing how or when an independent Scotland might qualify for EU membership. When the Commission refers to Scotland’s “under-performing position” as a motivation for change, it’s referring to Scotland’s deficit performance rather than its economic output. The Commission accepts that Scotland as part of the United Kingdom is “without question a rich and successful nation” with “economic performance […] amongst the best performing decile in the world” and that “Scotland’s economic output per head is the best of the UK nations and regions, outside of London and the South East”. It follows that Scotland only ‘under-performs’ on a deficit per head basis because of its higher spending per head. This higher spending is made possible by UK-wide pooling and sharing, because the whole of the UK needs to be fiscally sustainable, individual parts do not. Whether this higher spending is due to structural reasons and/or how an independent Scotland might reduce identifiable per capita spending is an issue the Commission simply chooses to ignore. The net effect of all this is that the Commission has helped us see how being in the UK allows Scotland: to enjoy the advantages of a shared currency and large domestic market; to avoid the fiscal constraints that would inevitably apply were Scotland a stand-alone economy; and to benefit from levels of public spending that would otherwise be unsustainable. The evidence that Scotland would achieve faster economic growth just by dint of becoming an independent small advanced economy is tenuous at best – particularly as the cost of independence would be at least a decade of fiscal restraint which would very likely dampen growth. However, the Growth Commission’s report does contain the kernel of a more attractive strategy than separation from the UK. The Growth Commission report illustrates many of the downsides of independence while highlighting (albeit reluctantly) the economic benefits of our inevitably flawed but enduring 300 year-old union. An approach which seeks to grow Scotland’s economy by constructively building on the strengths of this union would seem to us favourable to one that seeks to destroy it. Using the devolved powers Scotland already has (or may develop) to pursue the Commission’s growth ideas without creating the unnecessary disruption, uncertainty and further austerity that separation from the UK would entail would be a logical and constructive way of taking forward their work.